The H-IIA rocket began its 34th flight by igniting its LE-7 liquid hydrogen (LH2) / liquid oxygen (LOX) engine, then its twin SRB-A solid-fueled rocket boosters (SRBs), lifting quickly off the pad at 9:17 a.m. Japan Standard Time (00:17 GMT), June 1, 2017, and soaring into the overcast skies over Japan’s southeastern coast. The two SRBs fired for 93 seconds, during the initial phase of the flight, before jettisoning at 106 seconds and dropping into the Pacific Ocean. The first stage burned for another 303 seconds (396 seconds in total) before main engine cutoff. After first stage separation, the payload fairing jettisoned from the top of the LH2/LOX propellant upper stage, which fired (in two phases) for a total of 512 seconds before jettisoning at T+28 minutes, 21 seconds, sending Michibiki-2 on its way toward its intended orbit. 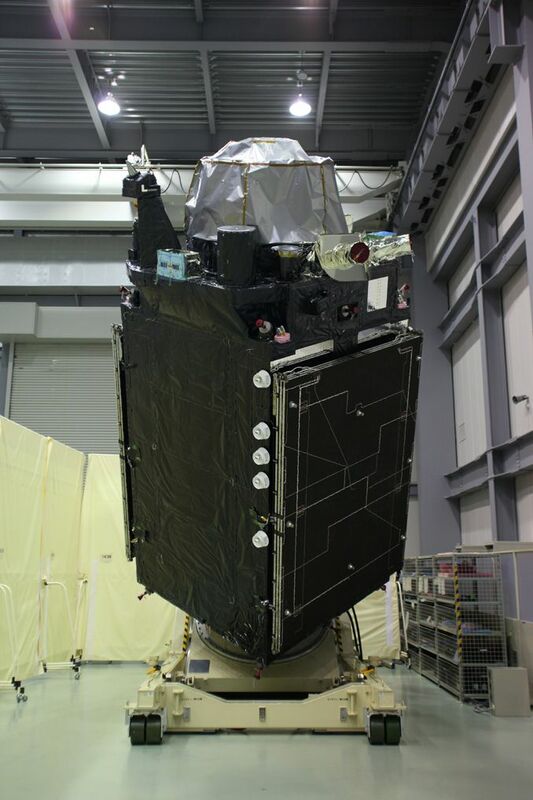 Michibiki-2 is part of the Quasi-Zenith Satellite System (QZSS), which is a regional navigation system that operates from inclined, elliptical geosynchronous orbits known as “figure-eight” Tundra orbits. 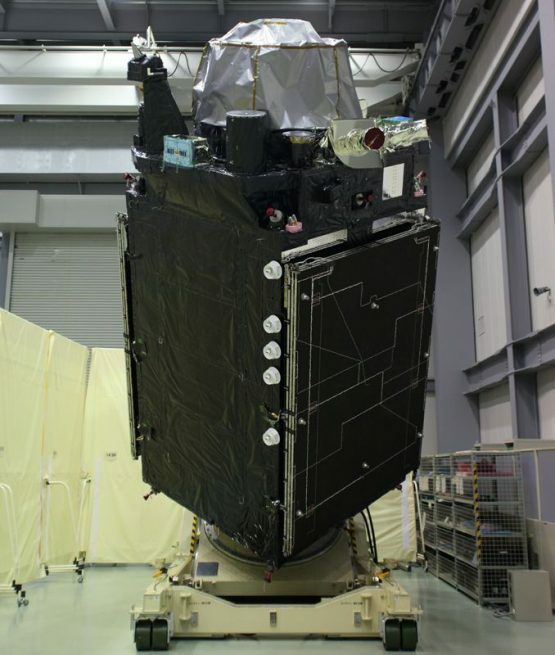 Four satellites are planned for this constellation and will broadcast GPS-interoperable and augmentation signals in addition to QZSS signals. Three will operate in Tundra orbits, while one will be in a geostationary orbit (GEO). 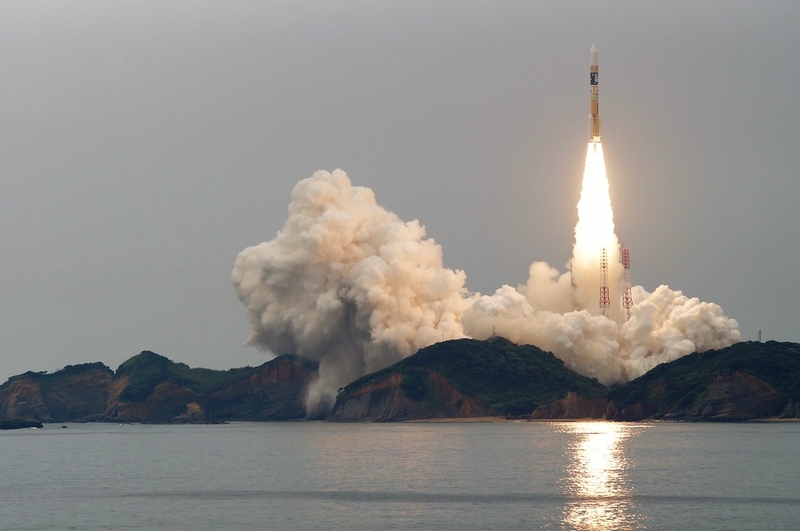 JAXA is building the system to increase the accuracy of navigation devices in the country. Currently, these devices utilize the U.S.-built GPS system. 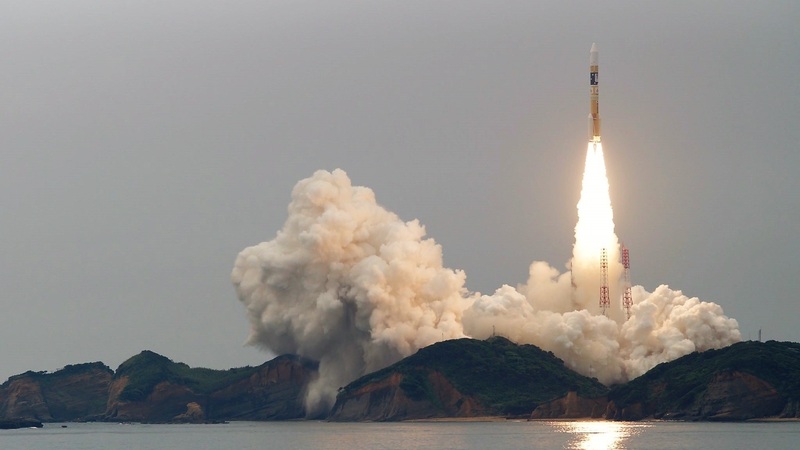 However, according to JAXA, because there is a small number of satellites in Japan’s field of view, services have not always been offered in a stable way. Once Michibiki-2, as well as Michibiki-4 in 2018, is launched, the system will become operational. Michibiki-2 has a mass of about 8,800 pounds (4,000 kilograms). It will operate in an orbit that is 20,268 miles (32,618 kilometers) by 24,202 miles (38,950 kilometers) and inclined by 41 degrees. It was built by Mitsubishi Electric. Note: This article was updated to include information from JAXA, which included the use of a second upper-stage burn prior to spacecraft separation.